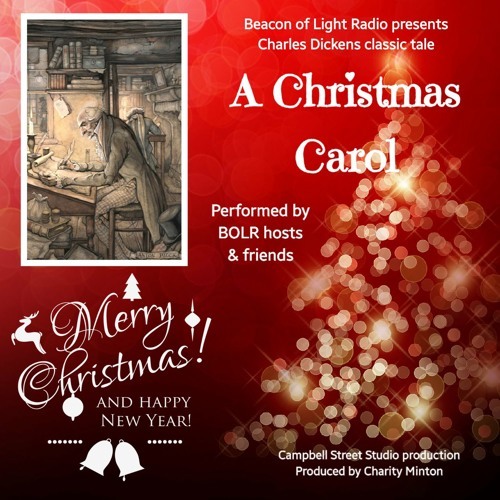 Beacon of Light Radio presents A Christmas Carol! With cast members: Daryl Gomberg, Wendy James, Frank Demaine, Bob Brown, Susan Gretz, Samone Smith-Brown, Kimla Dodds, Bill Lowe, Thomas Johansen, Maria Morales, Sandra Simms, and Charity Minton. Happy Holidays!